The Department of Pharmaceuticals was created on 1st July 2008 to be a focused Department of Government of India for fostering growth of the Indian Pharmaceutical Industry. 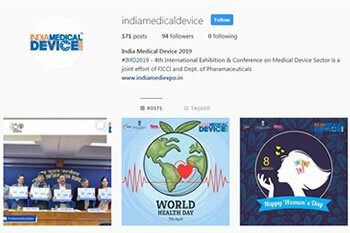 The Department has been assigned several functions including inter-alia promotion of Research, Education and Training, Public Private Partnership, international Cooperation, Inter- Sectoral cooperation, Industrial Cooperation, Environment and Hazard Management and Pricing and Availability of Medicines. The Department of Pharmaceuticals discharges their functions through active consultations with stakeholders to formulate new schemes/ proposals/ strategies for promoting growth of the Pharmaceutical Industry. FICCI is the voice of India's business and industry. Established in 1927, it is India's oldest and largest apex business organization. It serves its members from the Indian private and public corporate sectors and multinational companies, drawing its strength from diverse regional chambers of commerce and industry across states, reaching out to over 2,50,000 companies.